ANC6A Commissioners: from left: Calvin Ward, 08; Stephanie Zinny, 06; Michael Soderman, 03; Phil Toomajian, 02; (staff), Sondra Phillips-Gilbert; Marie-Claire Brown, 01; Matt Levy, 04; Patrick Malone, 05. Click to enlarge. ANC6A elected officers for 2017 at it’s January meeting last week. They are as follows: Phil Toomajian, Chair; Michael Soderman, Vice Chair; Calvin Ward, Secretary; and Stephanie Zinny, Treasurer. All were elected unanimously. The commission also welcomed newly elected commissioner Marie-Claire Brown. The ANC also voted unanimously to send a letter to Mayor Bowser and members of the City Council, expressing the Commission’s concern regarding problems with the city’s criminal justice system identified in the WaPo “Second-Chance City” series. The letter also cited threats to the public safety posed by repeat offenders who benefit from provisions of the Youth Rehabilitation Act. The ANC strongly urged the Executive and Council to produce legislation to ensure the safety of District residents from violent offenders. At the suggestion of Commissioner Sondra Phillips-Gilbert, the letter will emphasize the need to focus on rehabilitation efforts. The latter point was reinforced by a member of the audience who said he had 9 years of experience in the criminal justice system, and who pleaded that the rehabilitation goals of the Youth Rehabilitation Act not be abandoned. Wondering what these signs are appearing in the windows of Capitol Hill businesses? A grass roots neighborhood effort aimed at making a visual impact on visitors coming to the city next weekend for the Inaugural and/or the Women’s’ March is placing them, promoting Unity, Respect, and Dignity for all. Another goal is to promote long-term unity in the neighborhood. The effort has been endorsed by Council Member Charles Allen. 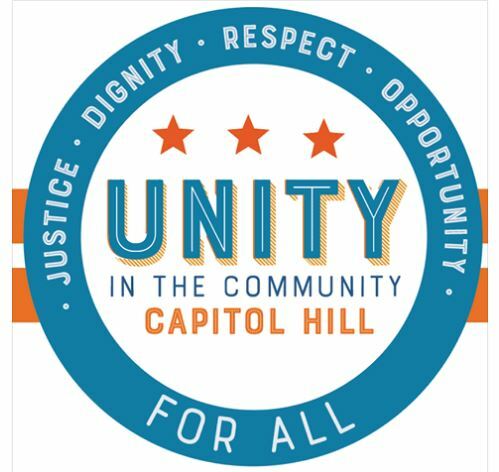 For more information, go here: https://www.facebook.com/UnityCapitolHill/ Perhaps inspired by this effort, some subscribers to Capitol Hill listservs are promoting hanging rainbow flags or placing Black Lives Matter signs in front of individual homes with the goal of celebrating diversity and speaking up for inclusivity. Martin Luther King’s Birthday. No city services. No parking enforcement. ANC6A Alcohol Beverage Licensing Committee meets at 7:00p, Sherwood Recreation Center, Corner of 10th and G Streets, NE. CANCELLED OWING TO LACK OF AGENDA ITEMS. EMCAC Executive Committee meets at 4:00pm, Eastern Market North Hall. CHRS Board of Directors Meets at 6:30pm, Capitol Hill Townhomes, 750 6th Street, SE. 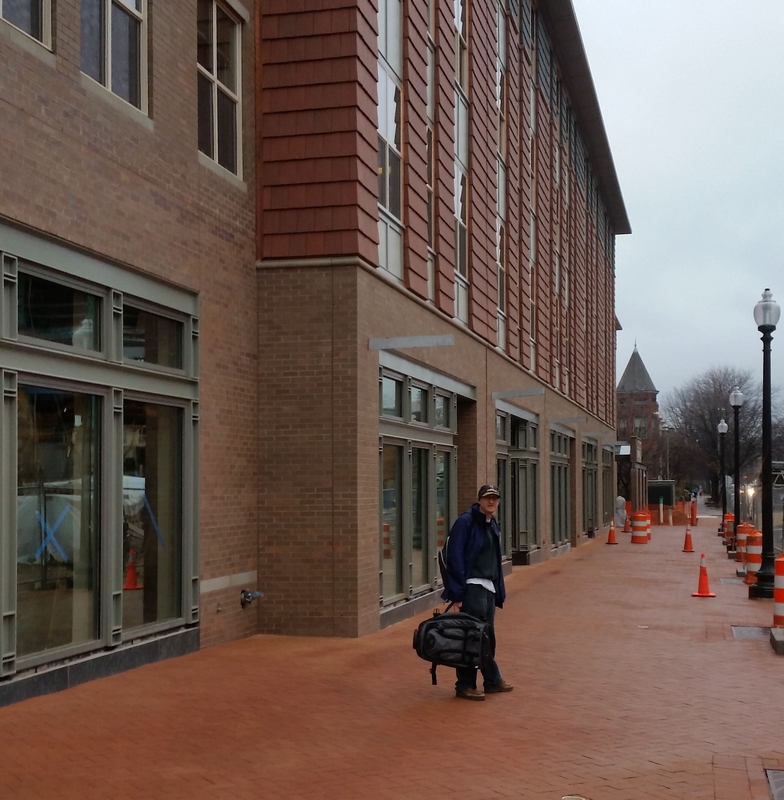 ANC6A Economic Development and Zoning Committee meets at 7:00pm, Sherwood Recreation Center, Corner of 10th and G Streets, NE. PSA 108 is scheduled to meet at 7:00pm, but CHC is guessing that Inaugural duties may result in cancellation. Liberty Baptist Church, 527 Kentucky Avenue, SE. More later. The Women’s March on Washington will begin with a rally at 3rd and Independence from 10:00am until noon in front of a stage which organizers will erect near the Native American Museum. At 1:00pm, attendees will march west on Independence, to 14th Street, turn right to Constitution Avenue, then left on Constitution to the Ellipse where the marchers will disband.